This course is ideal for students who are looking to re-train or start a new career as a locksmith through City & Guilds accredited programme. 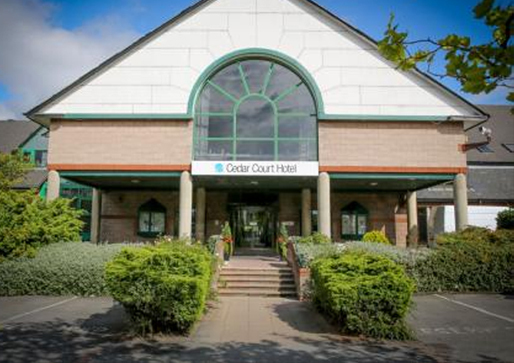 Call us today on 01924 693 293 for the latest prices and availability or fill in our enquiry form here! We can also offer finance on this course! This is the ideal course for those looking for a comprehensive training course which covers every aspect of locksmithing and will provide you with the skills and knowledge to start your own business. 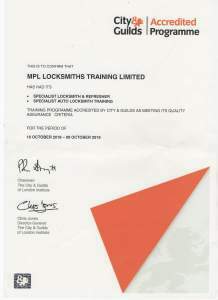 No other locksmith training school can offer a course with the same level of accreditation. Free locksmith bible with drill points and data of hundreds of locks worth over £100 to buy alone. You can also look at our testimonials provided through The Independent Ratings Company here. You do not need previous locksmith experience to attend this course which is ideal for those who are new to the industry and those seeking a new career. This course covers an in depth course schedule designed right across the board to give you a firm understanding of locksmithing and base to develop from when starting your own self-employed locksmith business. MPL pride ourselves on being able to offer a fully hands on locksmith training, that will show you the latest methods and equipment available relevant to the latest high security locks on the market. The locksmith training will give you valuable skills and business tips to begin trading as a locksmith. You can view the full daily itinerary below. 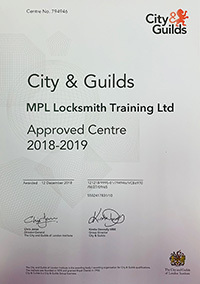 Our 5 Day Specialist Locksmith Training programme has been awarded City & Guilds Accredited Programme status and those who undertake training at MPL will also be awarded a GQA Corgi Fenestration Skills Card and a place on the CORGI Fenestration Skills Register. This means that our training processes and systems have been accredited – not something many other training schools in the UK can claim. The City & Guilds accreditation is known worldwide and the CORGI brand is the most widely recognised mark in industry according to recent consumer surveys. 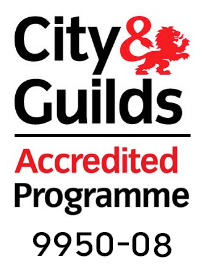 City & Guilds Accreditation recognises the process and delivery of a bespoke training programme which doesn’t result in a qualification, but has an end assessment. 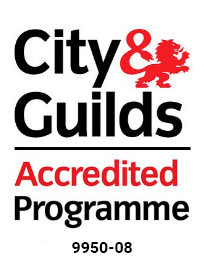 City & Guilds accreditation evaluates the programme against our benchmark and provides consultant support to ensure that the programme meets City & Guilds accreditation standards. Once approved the training programme is ‘accredited’ and can be marketed as such for the agreed period. The City & Guilds Group is a global leader in skills development. Our purpose is to enable people and organisations to develop their skills for personal and economic growth. What we do is about more than skills, or qualifications, or jobs. Backed by a Royal Charter, we have more than 135 years of experience in making sure that people can contribute to successful businesses and thriving economies. Made up of City & Guilds, ILM and City & Guilds Kineo, we work with education providers, businesses and governments in over 80 countries, to provide work-relevant education and training in 26 industries. FREE Locksmith Bible (with drill points etc.) worth over £100!